Sounds like you need to disconnect everything but the battery and update just the battery firmware. Thanks! It took two tries, but it worked. Greatly appreciate your response. Yes Rodolfo, good catch! I obviously didn’t proof-read that closely enough. Fixed and updated; thanks for the feedback. 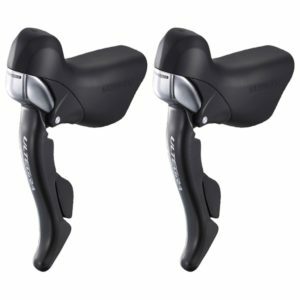 Will the ST-6871 Ultegra Time Trial/Triathlon Dual Control Brake Levers/Shifters work with an Ultegra 6770 RD? Great article! Yes, those levers and the rear derailleur are compatible. What is the difference between the ST 9071 and ST 6871 TT dual control? I noticed that at the top of my 9070 hoods are some buttons. Do u know what they do? Or can I program them to do something? Emmanuel: To my knowledge, those are not buttons and do not have any functionality. Hi there, a stupid question… I have 2 Orbea triathlon bikes, both on mechanical Ultegra, resp. DuraAce sets (few years old – not the latest versions). Is there any difficulty to upgrade it to DuraAce Di2 9070? If not (directly), is there any tweak how to do that? Both frames are OK and I don’t want to change them… Thanks! Martin, I can’t say for certain on the Orbea frames, but in general, any frame can be upgraded if you wire it externally and pretty much any frame can be upgraded using internal wiring if you’re OK with drilling a few holes. I upgraded my 2008 Cerverlo P2 to Di2 internal. The big problem area is the bottom bracket. My bike has a solid bottom bracket housing, so I had to drill holes through it to pass the wires from the down-tube through to the top-tube/chain-stay cavity. I also had to drill a hole in the top tube near the head tube. Drilling carbon is pretty easy. Tape the area, use sharp bits, start with the tiny bit, and work your way up one size at a time to the required hole diameter (6mm round or 7mm x 8mm oval). 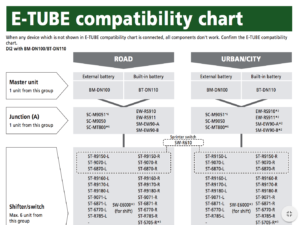 Don, 7970 is relatively easy to wire compared to the new Etube system. With 7970, you are just shorting one of the 4 signal wires (front up, front down, rear up, rear down) to the common wire. Any momentary push button switch will work. 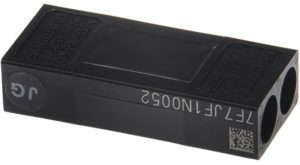 If you’re looking for something small and waterproof, people have used the Cateye 1699200 Remote Button For CD-300DW and HT-200DW computers. How about this set up? I think they are 7970’s on the bike shown. Can triatheleon switches be used without rewiring? I don’t mind the extra piece hanging off my flatbar, I am also wondering where they got the mounting bracket from. No, sorry, I don’t make or sell anything. I just provide the info. You may want to try https://www.facebook.com/Di2diy. Pierre, the only thing you can do is disconnect the wire leading from the front junction a to the lower junction b. 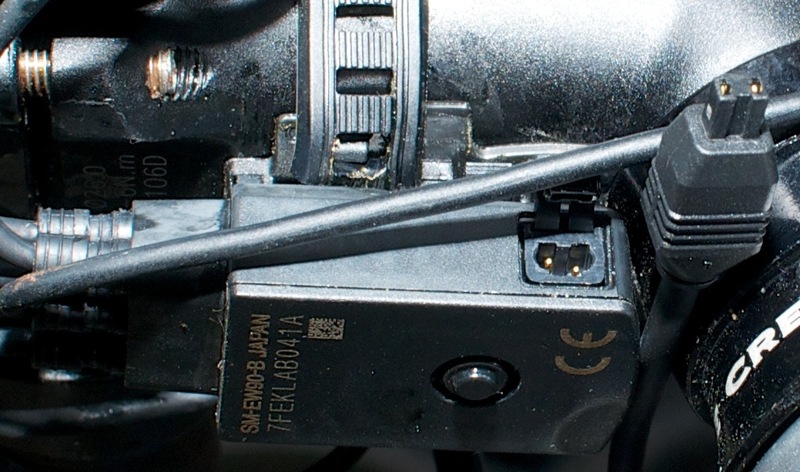 How to open front junction box on di2 to replace damaged cable. Have new cable but can’t seem to open the box? Don’t know if I’m being to gentle or need to use some force? You don’t open the front junction A box. For the 3-port and 5-port version, the cables just push in/pull out. You really should use the Shimano TL-EW02 Ultegra DI2 E-Tube Tool to do that. 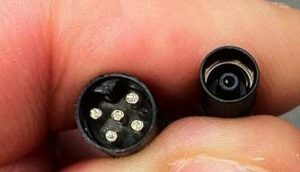 If you have the older SM-EW67-A-E Ultegra 3-Cable Junction, you don’t replace the 2 front cables; they are permanently attached and you replace the entire junction. I wouldn’t recommend it. You’d have to eliminate the 11th sprocket by adjusting the mechanical derailleur limit screw and you’d have chatter from the sprocket being slightly different. I assume you are asking about 9070 or 6870 Di2, the answer is yes but no reprogramming is necessary, the only issue is cable length. 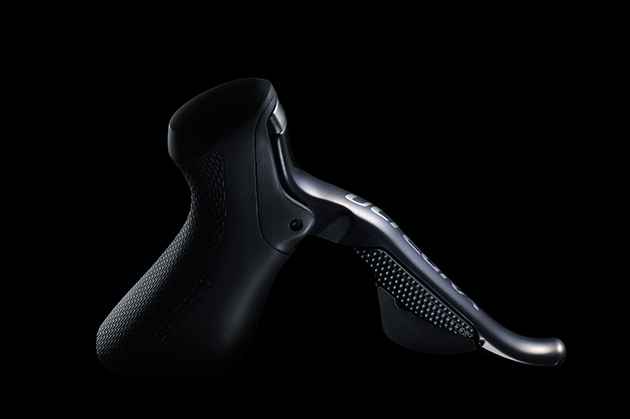 You can also set the sprint shifters up with cateye buttons and have one small button on each side of the stem right where your thumbs would be on the bar. 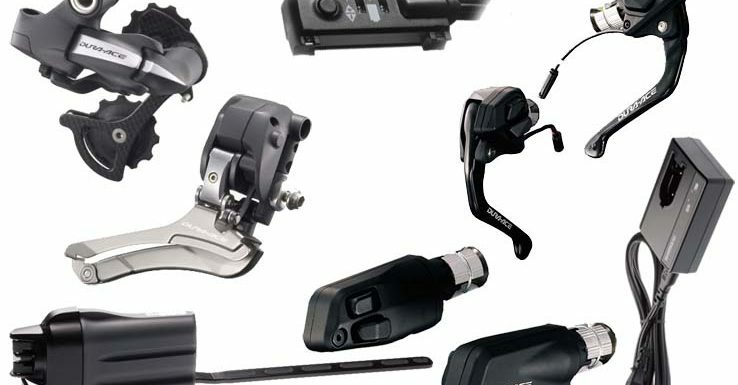 You are only limited by the length of wire that the sprint shifters come with. 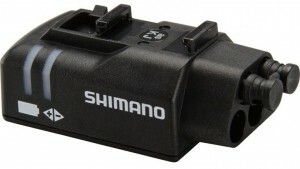 The sprint shifters can only be plugged into the lower port on the shifters. You can make the cable any length by sicing a section of wire, or just splice a longer e tube cable (EW-SD50) with a plug, you can use any monetary switch like cateye buttons by splicing them to a EW-SD50, one cable cut in half and two cateye buttons is all you need, of course they can only be plugged into the lower shifter plug. While I am here, what are the middle aux. ports on the levers for ? Gerr, the only way to get remote shifting for the FD is with the TT shifters SW-R671, or brake ST 9071/6871, and hack the insides, not at all easy, or reliable. The middle ports are only for the remote SW-R671 for adding TT shifters or SW R600 climbing switch… any of the above items can be plugged in anywhere in the system and need not be plugged into the shift levers, but thats what the ports are fore. Thanks Di2diy, Also thanks for your time on all these various post. (Both you and Carlton). I spoke with Fairwheel Skunkworks. 😉 The 2nd generation lower ports (1 for up other for down) working with a simple N.O. 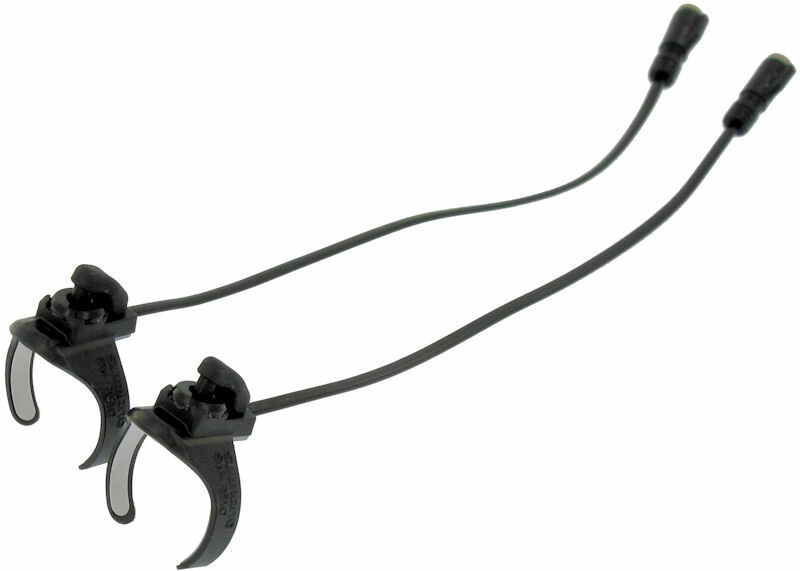 switch (such as the waterproof cateye); is a default behavior left over for compatibility of 1st generation. At least that is my understanding between 1st generation analog vs second gen. I have 2012 Mavic SLR wheels, can i upgrade to the new Duro Ace DI2 11 speed without having to replace my wheels? Donovan, I have no idea about specific wheel compatibility. You’ll need to ask Mavic if their wheels are compatible. Hi Carlton, I have the R600 climber switch but the cable that comes fixed to the switch is just too short for my purposes. Is it possible to add an extension lead somehow? Hi Richard. You can extend the wire by using a SM-JC41 Internal Junction at the end of the shifter wire and connecting an additional EW-SD50 wire to one of the other junction ports. It very easy to splice that cable if you have basic soldering skills, all you need is some two strand 24 gage wire, shrink sleeve and a soldering iron. Thanks Di2diy – this would certainly be the neatest method but I don’t have the soldering gear or skills so will go with the junction box method. Great article, but did not really catch up with the compatibility between 10 speed Ultegra and 11 speed Ultegra rear derailleur. 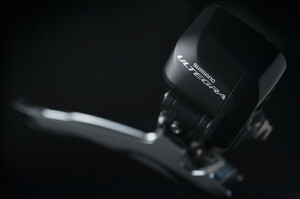 Are the interchangeable when using a 11 speed Ultegra shifter? Have access to the latest firmware update. It doesn’t matter which shifters are used; the shifters only send upshift/downshift commands and do not “know” or “care” which gear is currently selected and how many total gears there are. Thanks a lot. In other Words, I have a bent 6870(11speed) rearderailleur(Chrashed i Paris-Roubaix Juniors), this might be replaced by a 6770? (10 speed)? The 6870 is hard to find around here. I upgraded my bike from a 10sp Ui2 to a 11sp Ui2. I changed teh chain, sprocket and RD. However, the RD does not respont to the shifter commands. In the meantime, the FD responds normally. Do I need a firmware update? How do I go about that? I read on your comments about the older SM-EW67-A-E Ultegra 3-Cable Junction and I think I have this on my bike. 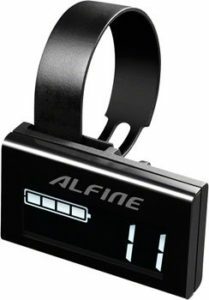 How do I connect the bike to the PC? Great article btw. Tks in advance. 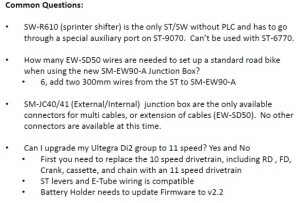 Emerson, you need a SM-PCE1 PC adapter to update the firmware since you have the old 3-cable junction. It is somewhat expensive, but it will update the firmware and should solve your problem. Tks Carlton. I am in a bit of a dillema. 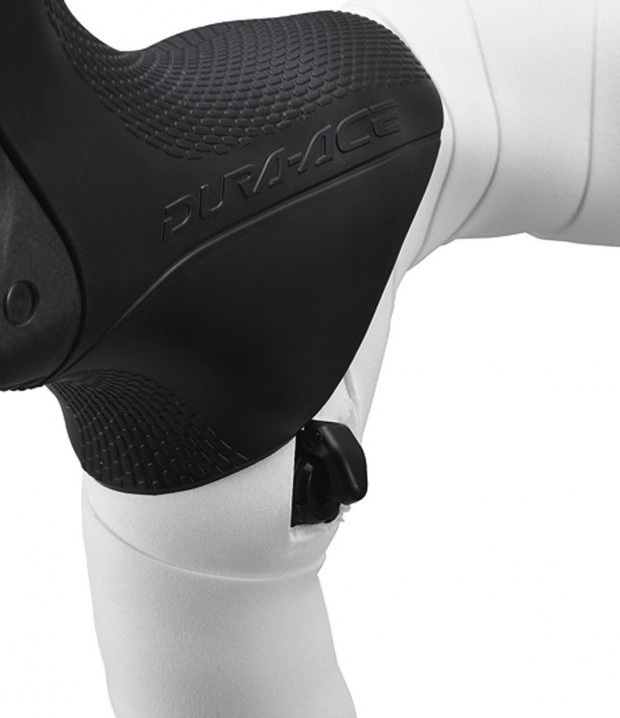 The SM-PCE1 plugs into the shifter, correct? I also have a TT bike with a 5-port jctn. Will I also be able to diagnose the groupset on the TT bike with the SM-PCE1? I suppose not because the 5-port jctn connects to the SM-BCR2? 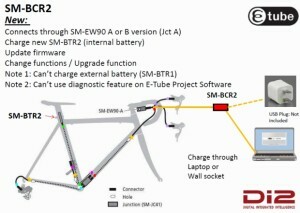 So, do I have to have both the SM-BCR2 and SM-PCE1 to diagnose these different groupsets? 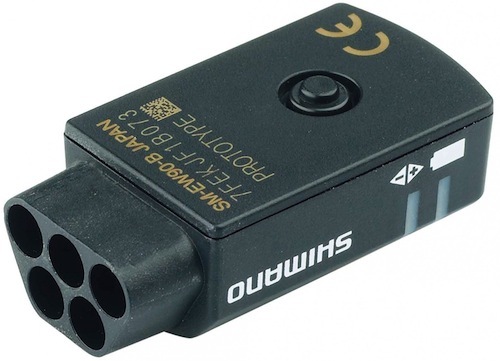 Perhaps a more economical solution would be to change SM-EW67-A-E Ultegra 3-Cable Junction to a 3-port jctn (SM-EW90-A Dura-Ace 3-Port) and buy only the CM-BCR2? One more question. 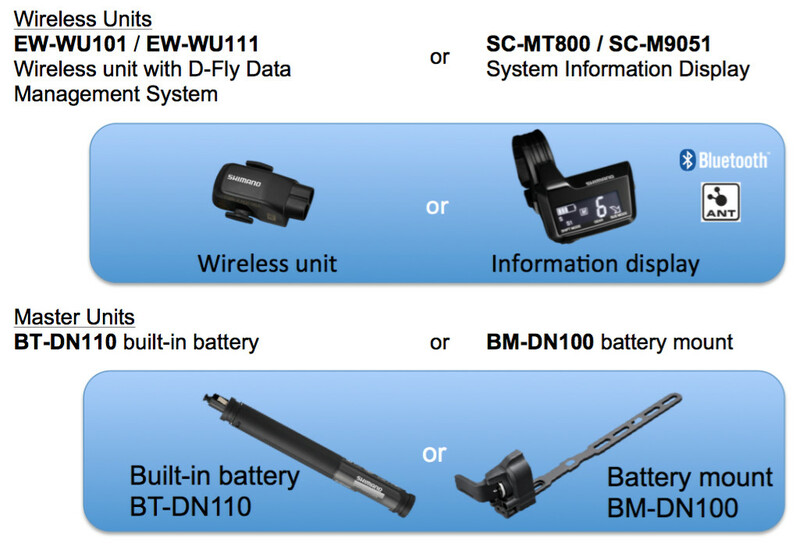 I undesrtand the difference in battery charging capabilities of the SM-PCE1 and SM-BCR2 but in terms of functionality of disgnosis and updates of firmware are they identical? Actually the PCE1 can do diagnostics on every component, although not always useful, BCR2 can only do updates (no diagnostics) and charge the BTR2. No you can’t update a EW67A if you use a EW90 with a BCR2… only one front junction can be used at a time. However if you have basic soldering skills you can hack the BCR2 to be used with any setup. Just buy any length EW-SD50 wire cut and splice it to the BCR2 than you can plug it into the shifter port, or buy a SM-JC40 junction B and another any length EW-SD50 wire… than you can just go through the RD by plugging the SM-JC40 to the RD wire and the extra EW-SD50 wire to the RD and plug the BCR2 or PCE1. 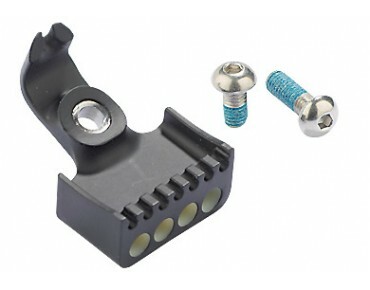 This jumper setup also works better than going through the shifter port with the PCE1 as well since the shifter port is not always easy to plug into depending on how you wrap your bars. Hi, I’m trying to splice the BCR2 charger to a SD50 cable so I can use the old front junction with the seatpost battery. I have the wires cut open. The charger has an inner and outer wire while the SD50 has a black and red one. Does anyone know which solders with which? Sorry if this seems like a dumb questions I’m a new to soldering wires. Thanks! It worked! The battery charged up and was able to use the etube software. Thanks so much for the info. You’re awesome! 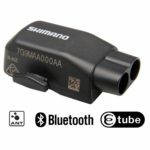 Shimano has changed the firmware since that post you quoted. You can no longer use a BCR2 with a EW67, only a EW90. However you can still hide the A junction I prefer under the seat by drilling a hole at the top of the seat pin, and you only need one wire going to the junction. Use a JC41 up front for the shifters to the front junction wire. Most people think the shifters need to go through the A junction but that’s just not the case. Thanks! 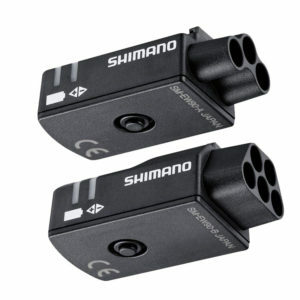 But if I switch the junction boxes to ew90s can I use the setup I suggested and avoid drilling the seatpost? I guess my question is whether if I have two ew90s in the system will it work to charge and adjust th RD? I’m reading conflicting things about whether the two junctions will cause problems. In the end your suggestion may be better anyway – definitely more user friendly to just plug the charger in under the seat. Sorry if I’m asking dumb questions – new to this stuff but it is fascinating. 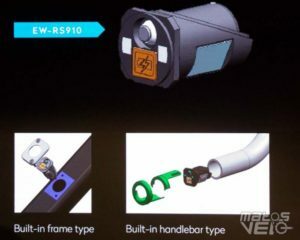 But Yes you will be able to charge through any port if you use an EW 90 and splice in a EW50 connector. Sorry – also if I use your seat post suggestion could I use two JC40s if I want to run shifters on the extensions and base bars but only have one wire into the junction? Yes, and you can use as many JC 41s as you want. On the upgrade from Di2 10 speed to 11 Speed does the 10 speed crank need to be replaced? How can you run an 11 speed chain on a 10 speed crank? By “10-speed crank”, I assume you mean “10-speed” chain rings. You’ll see that most existing rings are compatible with both chains. The differences are due to reduced rear sprocket spacing, not the front ring thickness. I thought chain rings on 11 speed crank were narrower to accommodate narrower 11 speed chain. I have bikes setup with 10 and 11 speed cranks running 11 speed with a 10 speed crank makes no differance, but runing Di2 with any crankset other than Shimano will. Other cranksets work fine; the rings make the difference. They need to be a rigid/low flex design. Praxis Works, Rotor, and SRAM (in that order) tend to work well; there may be others. Hi Carlton, yes other cranks will “WORK”, and the Praxis rings are really nice as are the BB conversions, the rings are especially helpful with a non shimano cranks/spiders, but for road setups nothing beats a Shimano crank for performance. As you know I do Di2 retrofits on non Di2 frames, and sell hacked Di2 harnesses with seatpost batteries on ebay, I have also done a lot of upgrades from mechanical to Di2 and the #1 issue is cranks when it comes to FD performance. I always recommend 7900/6700 or now 9000/6800 cranks instead of any other setup. 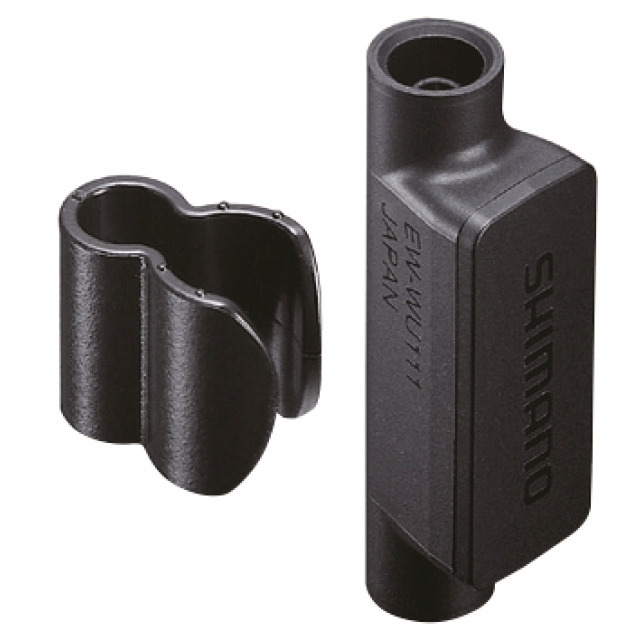 I have had about 80% of my customers bring their bike back to my shop to have non Shimano cranks replaced… the 20% who do not seem to be Tri/TT bikes where FD shifting is not as critical. Someone needs to hack an RD so it can have a 10sp/11sp toggle. Something to do with junction ports. Ive got the three port junction, will that be ok? Without knowing what you are tiring to do it should be no issue. If you need more ports just buy a JC41 junction box. 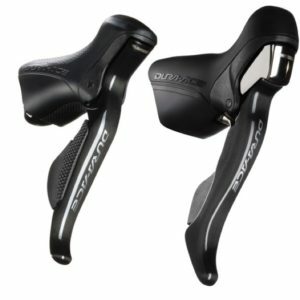 Can one use 2 sets of the SW-R671 bar end shifters? The reason I ask is I’m building up a Cervelo P5 and it has Magura hydraulic brakes and the brake levers on the drops and I’m putting one set of the SW-R671 on the areo bars and was thinking of disassembling the other set of SW-R671’s and put them next to the Magura levers on the drops. I’ve seen/read where many have hacked/soldered into the ST-9071’s for a clean P5 look. But upon investigating the SW-671’s, their insides look much easier to work on with less soldering. BTW, I’ve built up 3 (working on a 4th) Di2 bikes (2 road, 1 tt) and the system works flawlessly. Carlton, I was under the impression that to update a 10sp Electronic Ultegra to a 11sp, all that needed to be changed is the RD and obviously the cassette and chain. I did just that and initially the rear derailluer did not respond. Then I check with you and you mentioned that I should update the firmware of all the components. I updated the firmware of all the components sucessfully but now I get no response from the front AND teh rear derailleur. 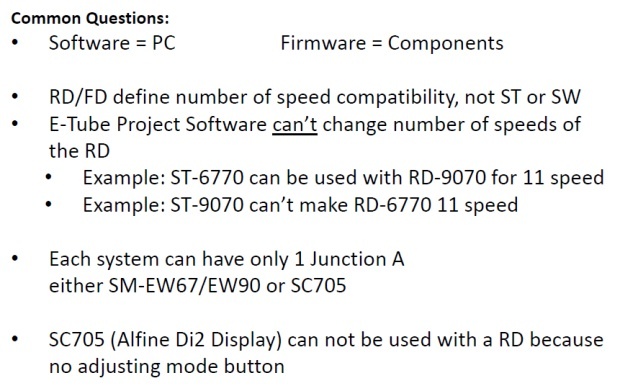 In addition I got an error message on the e-tube project software that teh FD6770 cannot be used with the RD6870. Just to be clear, my set up is as follows: SM-BMR1 (battery holder), ST-6770-L and ST-6770-R, SM-EW67-A-E, FD-6770 and RD-6870-GS. I have setup several bikes with this combination >15 without issue including a RD9070, and while its true that the e tube project software does give a warning that the combination will not work properly it work. 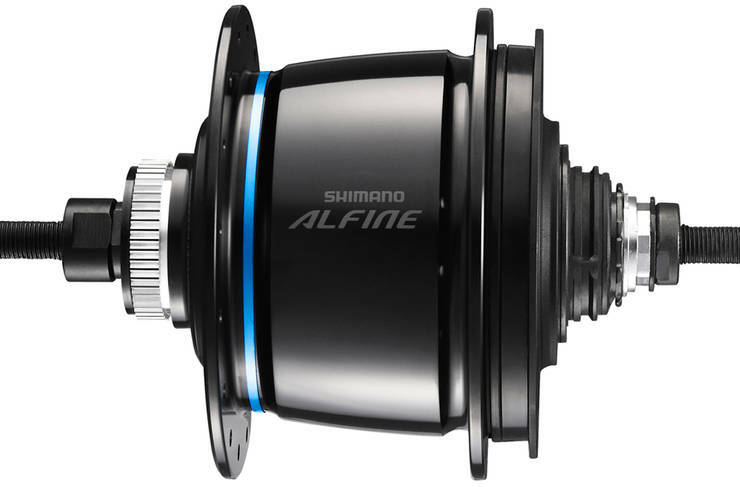 the reason for the warning it that the FD will auto trim for a 10 speed setup, not 11, but this is a non issue as long as you don’t ride in a 53X28, or 39X11, as you shouldn’t do anyway. be sure you have the latest e tube software, try updating all the 10 speed stuff first, than the 11 speed RD separately. also before you plug in the RD see that the FD is shifting properly, than plugin the RD. 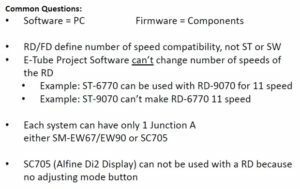 you do not need to do any complete system update as long as each components FPGA has the latest firmware it will work. I’m in need of some help, yesterday went for a ride (off-road) and after 20km the DI2 (sc-s705 with alfine 8) just went completely dead ! I checked all its connections but they where all still connected good , last I check the battery it was on two bars(in this ride). but still when I arrived home I charged it “it took around 1hr to get fully charged” reconnected it , but still the system is completely dead . do you have any idea of what’s wrong ? I live in Malta and over here there is no one that can help .. Sounds like you are in crash mode. Press the button on the junction box for 5 seconds. I didn’t see any buttons ! on the junction box that I have (sm-JC40) there is not, and on the dash sc-s705 I didn’t see any aswell ! is the anyone that can help me resolve this ? the problem is , there is no one in my country that has the diagnose tool ..
today we tied to see if we can have an idea of where the problem is coming from with only a multimeter .. and I think we found something, the current stopped in the junction box (sm-jc40) , actually last reading of current we had was in the wire from the battery to this junction box than from it onwards there is no current in any other unit ! so I’m guessing its from it, does my statement/finding make sense ? 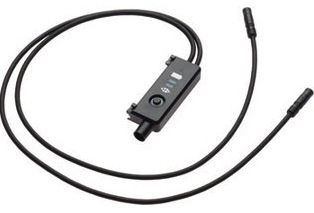 Did you try plugging and unplugging the connectors with the tool and are you sure they are in all the way… you need to use the plug tool. Also what mount, SM BMR1or2. its marked under the mount lever. I would not be sticking VOM probes into those plugs, it’s very easy to short the system out, you would need some special probe tips. if you short it out trying to check voltage it will trigger the polyswitch in the battery mount, or fry the FPGA in one, or all of the components. Also you can buy a SM-PCE1 on line, you need one. Nice source of information you have put together here! very impressive and easy to understand. I am contacting you to see if you could help me with a problem. I just bought a cervelo P3 2014 equiped with Ultegra Di2. 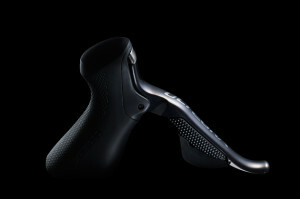 My main interest in Di2 is the dual shifting (from the aerobars and the handles). 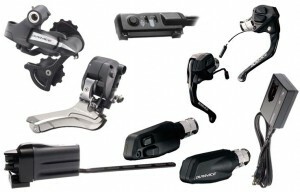 However Cervelo has chosen to go with hydraulic brakes which at this stage does not exist with DI2 brake levers. The store told me at first I would just need to add sprint or climbing shifters on the handels. I am about to pick up the bike tomorrow and they tell me now that the wires coming with those climbing shifters are too short to reach the junction box if I want to install them by the break levers (ideal placement in my mind). Are you aware of any wire that would allow me to extend the pre-mounted wire in order to reach the junction box? 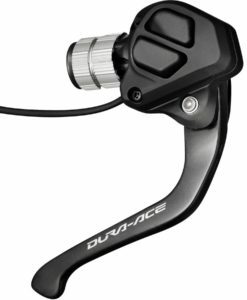 Beside getting rid of the Magura brakes as a whole and installing DI2 levers and new brakes, do you see any other option if I want to have my shifters near the brakes? 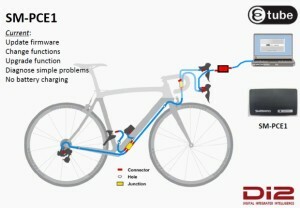 Hello Di2diy, thanks for your answer, I actually found a store yesterday in Montreal which does the same hack as illustrated in the link you sent me. 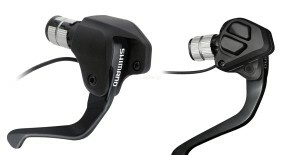 Considering the price of the shifters, I think they are asking a reasonable price for the overall hack and installation and I ll go with them but thanks for taking the time to answer my question. what store did you find in MTL? Couldn’t you connect the sw-r600 climbing shifter to a sm-jc41 junction then whatever length of ew-sd50 etube wire that is required to reach the 5 port front junction (sm-ew90b) that is installed on the 2014 Cervelo P3 rather than having to hack the components if your not good at disassembling and soldering tiny components and wires (and voiding the warranty)? Basically using the sm-jc41 as a gender changer. Get your hands on an owners manual, and learn how to adjust it yourself, it’s really not that hard, no tools needed. I took the new “whip” back for its third visit to my LBS in the hope this time given enough time and not being pressured (i.e. I want my bike back immediately) the “wrench” would be able to reduce drivetrain noise to a gentle whir or at least something comparable to my non-Di2 set up on my older and much less costly whip. I think I’m going to take your advice and get an owner’s manual because the noise is still prevalent and annoying as hell. Any direction that could be given regarding how I identify the model number of my grouppo and then obtain an owner’s manual would be appreciated. Thank you. 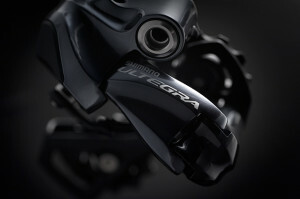 all you really need to know is it 10 speed or 11 speed, is it Ultegra or Dura Ace? Does anyone know if there are extension cables available? 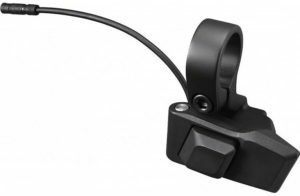 I am considering a custom setup on a recumbent trike, and need to extend the built in cables on the Dura Ace bar end shifters… hopefully without the use of the JC40 junction box. Even a simple two port plug would do the trick…. 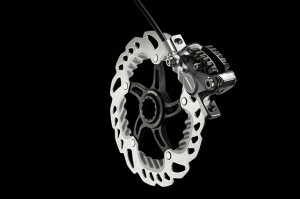 And does anyone know if Shimano plans to ever develop a front Di2 Triple derailleur? Hey folks…Alternate internal battery options question: I have a mix of 9070 and 6070 with the internal battery mounted to the chainstay (temporarily) until i’m sue I won’t need to access it again. 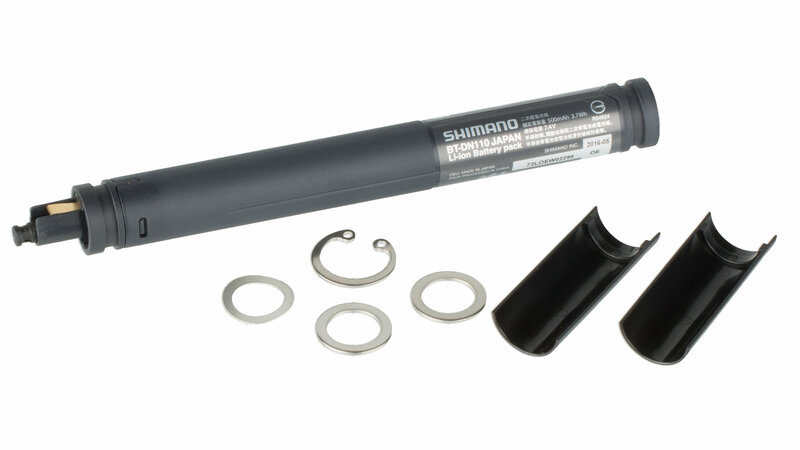 I tried fitting the battery into both the seatpost and seattube with no luck. I have an aero shaped tube/post and the battery is just a hair too wide. Does anyone know of an aftermarket battery that might be a little slimmer? I don’t know of a way to service the electrical connection on the front derailer. Unfortunately, I think your best option is to buy a replacement. This sounds like a warranty issue. I have noticed that the connectors do start to lack the strong snap after a few hundred connections on my test junctions but never fail to stay connected. 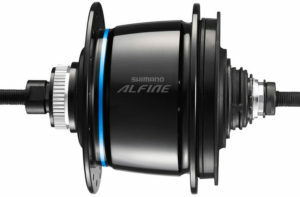 Get a hold of a Shimano rep and see if they will warranty the FD, I think they may as this is not a normal wear issue. BTW why would you need to disconnect the FD cable more than a dozen times? Di2diy, I had to change frames and i’m not talking about more than about 5 times. Like I said it sounds like a warranty issue. Thanks for the great article. Really helped me a lot when building my bike. I do have one question though, have you had any experience with adding a second 5/3 port junction box to act as an external charger/RD adjuster? Right now I have EVERYTHING stuffed inside the frame, and while I can take apart the stem and what not to access the 5 port, I was wondering if I had a second 5 port that i used with a 4 port splitter, unpluged my RD, then used the splittler to hook up the RD and the other 5 port junction to charge my battery/adjust the RD. Would the system still “work” with 2 A junctions plugged in like that? Eric, you might be able to temporarily put a second junction in for charging and adjustments, but I’m not positive. So disconnect the cable going to the rear derailleur, and install the junction and an additional jumper cable for the rear derailleur. You definitely wouldn’t want to run it that way, nor update firmware or settings this way. if you have basic soldering skills you can hack the BCR2 to be used with any setup. Just buy any length EW-SD50 wire cut and splice it to the BCR2 than you can plug it into the shifter port, or buy a SM-JC40 junction B and another any length EW-SD50 wire… than you can just go through the RD by plugging the SM-JC40 to the RD wire and the extra EW-SD50 wire to the RD and plug the BCR2. I will give that a try. Thanks! One last questio, are you cutting off the stock end of the BCR2 and soldering on the di2 wire so it only has the di2 wire now, or are you soldering them together so you are left with both ends? Eric, it’s a 2-wire system, so there is no reason you couldn’t have both connectors. In fact, you could have the standard connector plus TWO (both ends) of the EW-SD50 cable, for 3 connectors total. So all you would need to connect it to the system would be a SM-JC40 junction B at the rear derailleur cable end, and then use the 2 new connectors as the jumper wire between the add-on Junction B and the rear derailleur. Just be sure you get the polarity of the wires correct. I’m not sure how to describe which internal wire is which, other than to test it one way and see if it works. If not, switch the wires, and test it again. On the BCR2 cable there is a shielded wire and a non shielded one. Any clue which one to solder to red and which one to black? I have heard that both may work and charge, but one way will harm the battery. Any thoughts? Hi Carlton. I have heard of people getting error messages up and no response when trying to fit an RD 6870 to a 6770 system. I am trying to do this without a laptop connector. Is the only hurdle making sure the system is running the latest software or are there any other things that could stop the RD from working? I am sure my bike has the latest software but the new RD doesn’t shift when plugged in. BS: Firmware is the only requirement. Something needs to be updated. You really need a PC and software to troubleshoot and/or update firmware. Carlton I bought the PC interface, updated the firmware to the battery holder and then the other components and it all works perfectly. Thanks for your help. Hi Carlton, thanks for the great detail! I have one question on the SM-JC41 junction box. I’m planning on fitting the sprinter switches onto my tri bars as a tidier alternative to the bar end shifters but the cable is too short to reach the handlebar shifters. 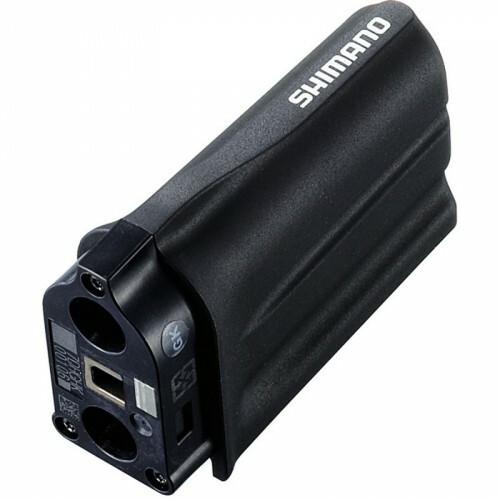 If I use the junction box SM-JC41 can I connect both switches to the same junction box and two SD50 cables out of the junction box to each handlebar shifter? Paul, this is correct but if you join the climbing shifters at the junction box, but you’d only want 1 wire from the junction box to one standard handlebar shifters. You can’t do this with the SPRINT shifters; they use different connectors. Paul, no, that will not work. 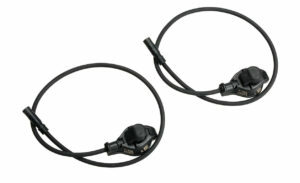 The sprint and standard cables are different because they function differently. The sprint shifter will not work at all with your setup. 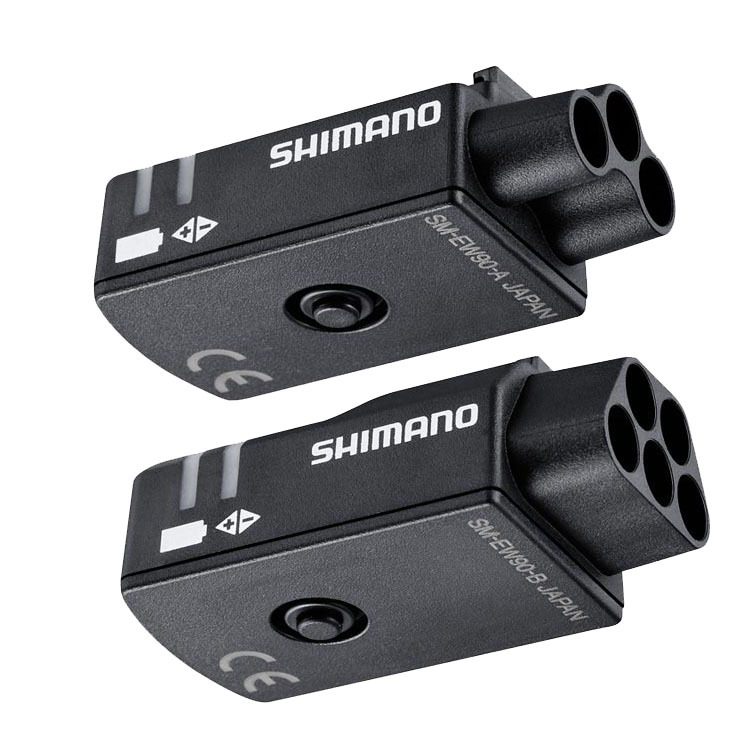 The problem with using the sprint shifters is not with the cable itself as it is only a 2 wire cable, but with the fact that the shifters themselves do not have electronic logic chip so that they must pass through the shifter/brake module. The ends are keyed differently to prevent connection to the wrong device/interface. 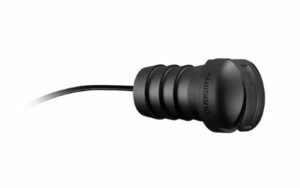 The climber shifter (SW-R600) does have the electronics imbedded so it can be used and plugged into a junction box, but it only has a 265mm long cable, If you can extend the cable by cutting and splicing with an SD-50 cable then it should work. The advantage is that the R600 has 2 buttons (unlike the sprint shifter which only has 1) so that you can use 1 R600 for the rear derailleur and if you want a second on the other bar for the front derailleur. The drawback with the R600’s is, as Di2diy has pointed out, that it is somewhat bulkier. Sorry but that is not correct, the SM-R600 will only shift the rear derailleur, no matter where it is plugged in, this is true for all e tube systems. 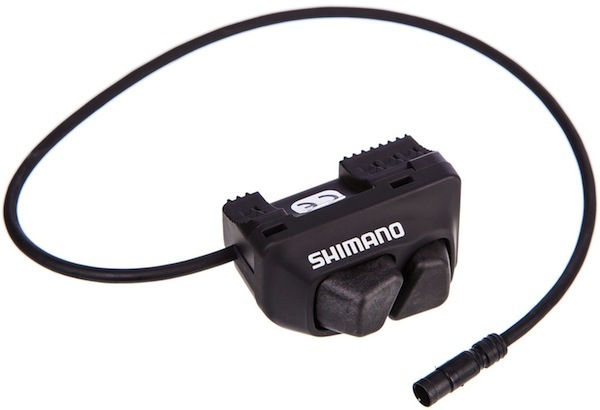 As I said you can splice any momentary switch with a e tube SD-50 cable plug and plug it into the (lower port only) of 9070/6870 road shifters, this will not work with 6770. With a 6770 setup you are limited to the using the R600 for the RD only or SW-R671 Remote TT Shifter front and rear. same goes for the 9070/6870, with the exception of hacking the sprinter port. Ha ha, good point. I didn’t even think about it being 2 identical R600 climbing shifters proposed. I was picturing L/R bar-end shifters. In this situation, it’s probably best to upgrade the levers or give up on front derailleur shifting from the aero bars. 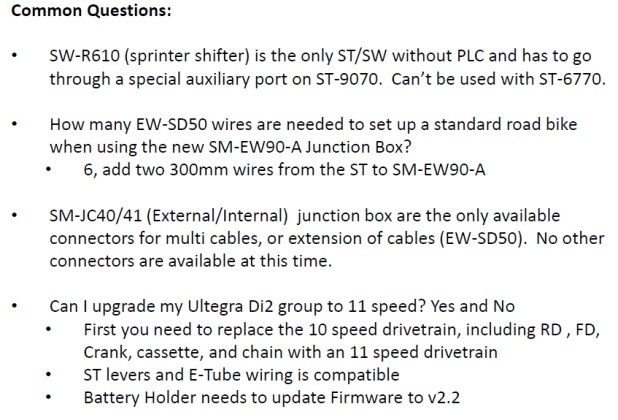 An exhaustive thread 🙂 but to be sure I’ve read this right, if I’ve got 9070 shifers with the sprint shifter already installed can I purchase a momentary switch and connect to SD 50 cable plug and insert that into the spare port on the 9070 shifter to place on the top bar instead of the bulky SW-R600. it can only be plugged into the sprint shifter port, the lower port, NOT the middle or top, as that will short the battery module. Since you already have sprint shifters you can splice the switch directly to that plug, I use the Cateye buttons. Thanks guys, you’ve been a great help. Much clearer now and what I need. 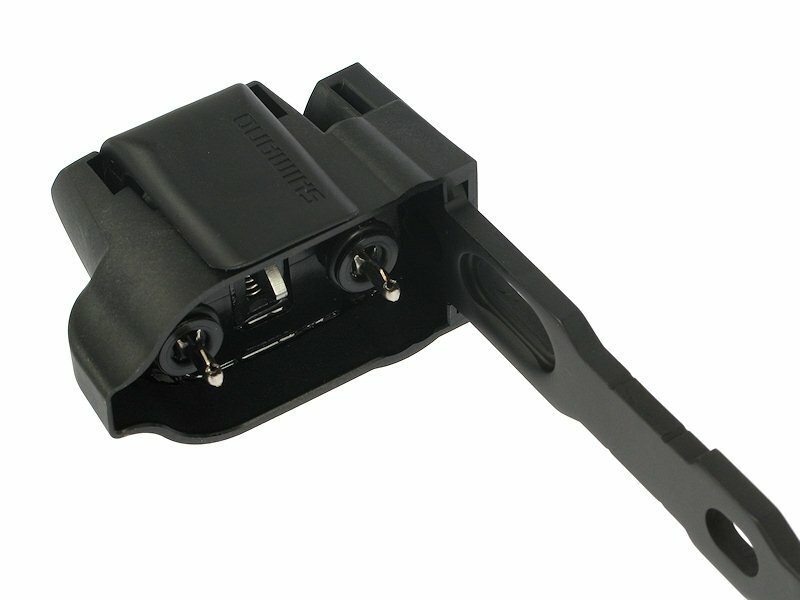 Does anyone know if internal Di2 battery is compatible with Thomson Elite (zero setback) 27.2mm seatpost? Hi Carlton, wouldnt mind your advice on DI2, I currently have a Scott foil 15 with ultegra DI2 and love it, I am now in the middle of collecting parts on the cheap to build a tri bike, my thoughts were to buy Dura ace or ultegra DI2, I have purchase a 2010 Dura ace SW7971 bar end shift levers for 10 speed and 2009 ST7971 electronic lever pair 10 speed. Im a bit concerned I will buy the wrong bits to build a system up, is there any chance you could list all the relevant pieces of kit I need to gather to get a full system to fit to my tri bike once built? Scott, I think your best bet would be to look at a complete 7970 groupset and get the component requirements that way. I don’t have a handy list of everything for this older configuration. You guys have been very helpful in explaining what di2 parts are compatible. 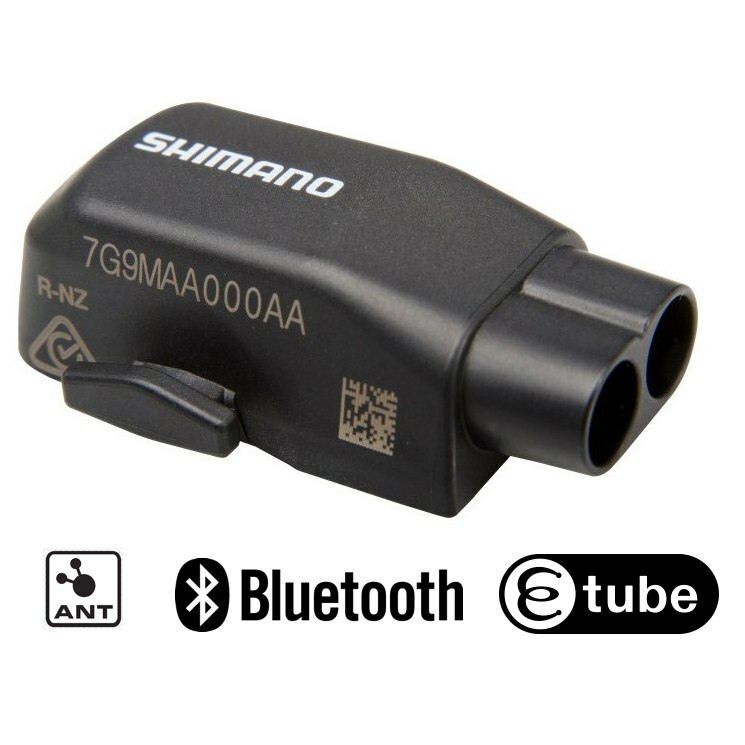 It’s a shame that Shimano is not this helpful. 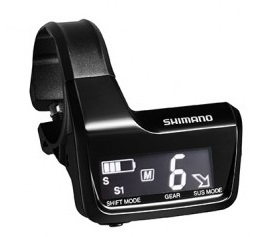 “It’s a shame that Shimano is not this helpful.” nothing at that site. Hi everybody. I installed E-Tube on my Win7 laptop, I connected my bike with Ultegra 6870 (internal battery) but the sw doesn’t recognize it! It always displays ‘Connect…’ followed by three links to techdocs. Did you download the latest version of e tube project from the web, or what came in the box? We’ve seen this before when the PC is the source of the problem. Try a dedicated partition or drive to eliminate PC issues. Once you have confirmed it is not the PC you can move forward to isolate the issue. This is not ‘normal’. You should not run with this as it will grind your components to early death. Are the components new? I ask this because derailleurs ‘having a mind of their own’ can be a sign of a failing/faulty component. 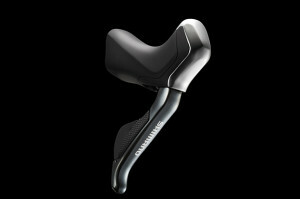 If the Di2 system has been set up correctly the auto-trim will never behave this way. You should be enjoying silky, smooth, perfect shifts every time. I assume you have a correct chain-line, i.e. your crankset has been installed correctly. Set up according to Shimano’s guides. Persevere, the problem will be cured.